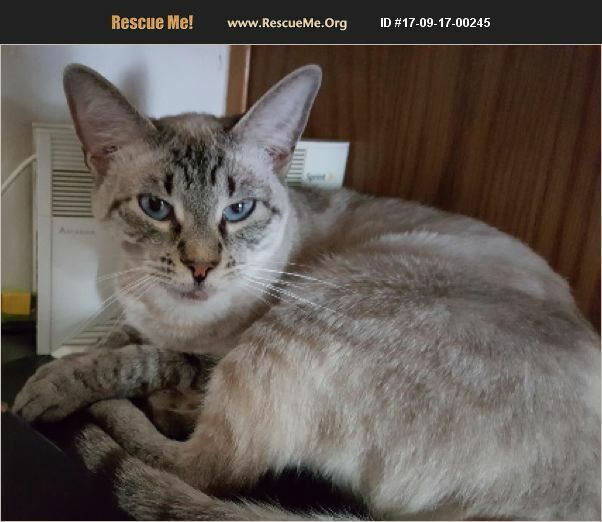 Indiana Siamese Rescue View other Siamese Cats for adoption. I am having to rehome this cat due to my husbands health issues. She is approximately 3 years old and is a talker. She is very friendly and loves to be petted. She weighs approximately 6-7 pounds. She gets along okay with most cats but would probably be better in a home with no more than 3 pets including her. She is indoors only and is not fixed. She has not been around kids or dogs, but is good with adults. She has never had a litter.